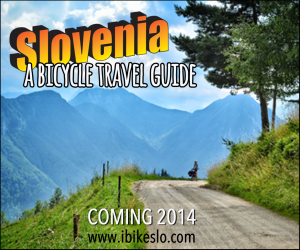 Why should bicycling be important to growing tourism markets? 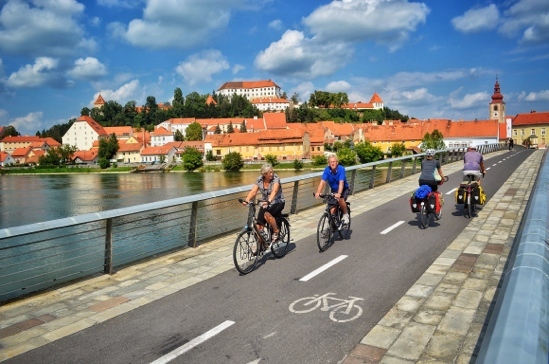 While we traveled by bike around Slovenia, researching our upcoming book, “I Bike SLO – a bicycle travel guide to Slovenia“, we were again reminded that small communities present the perfect case for bicycle tourism. Small communities generally have weak economies and often struggle to attract tourism income. These areas have the greatest potential for tourism growth. So, why should bicycling be important to these places? Most growing tourism markets are in rural or underdeveloped locations. 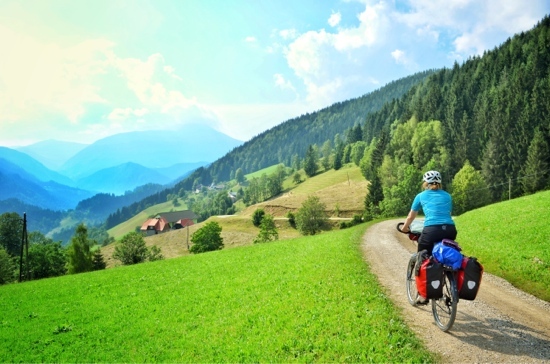 Whether underdeveloped, rural or both…bicycle tourism can benefit growing markets by bringing a new income stream, from bicycle tourists, travelling at a human pace to otherwise struggling areas. Bicycle tourists can help bring much needed income into the community, if properly encouraged. Bike tourists prefer travelling along quiet roadways, like those found in rural and developing communities. Bike tourism mean tourism income to businesses and communities who are ready and willing to make cyclists feel welcome and entice them to stop, even if only for a few hours. Rural roadways used as bicycle tourism routes hold benefits to both cyclists and the surrounding communities. Rural roadways become economic conduits when designated as bike routes and signed with accurate information to encourage easy, safe and fun bicycle travel. Well marked and organized bike route signage is imperative to attract bike tourists. An organized system of bike route signs contributes to perceived safety and attracts more cyclists. 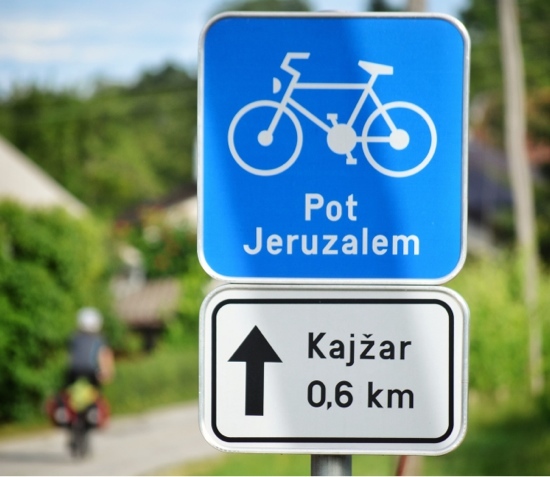 This serves to guide bicycle travellers to local points of interest, cultural attractions, accommodations and businesses they may have otherwise not known about. Building additional resources, like a bicyclist’s oasis or rest stop, not only helps retain tourists, but it has the exponential effect of adding purchases to the local economy and boosting quality of life for residents and visitors alike. Bicycle tourists are slow and hungry. Most bicycle tourists travel 70-100km per day. Compared with other “traditional tourists,” bicyclists take almost 4 times as long to cover the same distance. We are a hungry and thirsty lot. We need to eat more often and we will find lodging every night. That comes to 4 times the economic impact across the same distance travelled when compared to motorists, or other modes of transport like buses or trains. Bike tourists are more likely to stop at a store, guesthouse or restaurant that specifically tries attract them. It’s not unusual to see signs stating “motorcyclists welcome” attracting large groups. The same can be done to attract bicyclists. Combine this will small improvements, like repair accessories, secure bike parking and well made maps. Encouraging bicycle tourism builds community. Local businesses and producers cooperating to attract bicycle tourists will create micro-economic synergies that will trickle down to other benefits. Communities that encourage bike tourists will maintain quiet roadways and separated cycle tracks for cyclists making the local area easier to navigate for both locals and visitors. Small craft food producers that encourage bike tourists to stop for a visit will see more of their product taken out of the local community and shared with others who may have not known about it before, thus increasing exposure. Hotels that attract more bicycle tourists will need to employ more staff. Those staff will spend money at local businesses. Bicyclists will shop at local stores and visit bike repair shops. Those shop owners will spend money with suppliers and hire staff as well, who will in turn spend money. 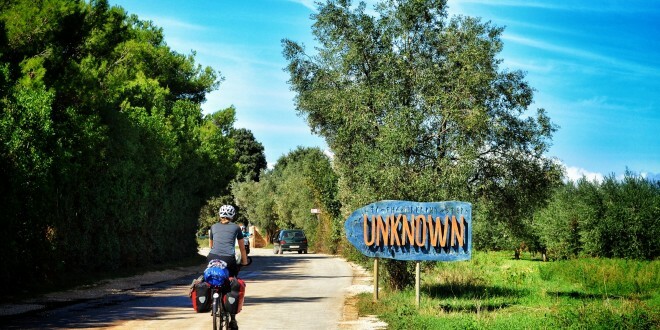 Will bicycle tourism save the world? Probably not. But, while bicycle tourism is not a silver bullet, it is clear that encouraging bicyclists to stop in your community will benefit the economy. Using simple techniques to encourage bicycle tourism is the most effective course of action. Small, meaningful changes and resources will go further than big grandiose programs designed to only attract high income tourists. These steps can be undertaken by individual businesses, but they are more effective when they are implemented community wide, in a coordinated plan. For more information about how your business or community can attract bicycle tourists, contact us at Two Wheel Travel, we’d be happy to share our insight. This is a great resource. I’m personally trying to push this agenda here in Denver, Colorado and other “cycling towns” where the cycling culture is vibrant but the local DOT and tourism boards haven’t gotten the clue yet!